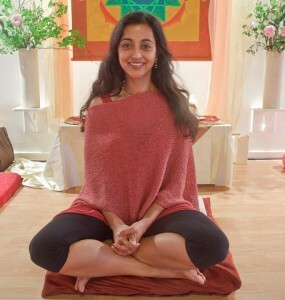 Roxana talks of the joy and nourishment of receiving Sarita’s teaching on the Vigyan Bhairav Tantra in her living room, that leads to learning through experience, in the body and heart. Listening intently to Sarita’s embodied wisdom and melting into her sweet smile my spirit sang to have her here in the comfort of my living room, on my computer screen. Her radiant presence was beaming out to me through her new webinar course on the Vigyan Bhairav Tantra. As I drank in her words new nuances of understanding grew in me regarding meditations I have learned through her couples Soulmate Training. I also relished the opportunity to dive into completely new meditations I had not yet met. As Sarita shared from the depth of her experiences, I rejoiced in the knowledge that these discourses would be widely available all over the planet for many, many years. We live in a speedy age of information where little attention is given to wisdom. We can gather all the information we desire at the mere click of a mouse. Despite this I often hear people wonder why, if they know and agree with a spiritual truth they still struggle to live by it. They find that they struggle to relate to others, the world and indeed their own selves through the truths they aspire to. To be informed is clearly not enough to live by these truths. Being informed is simply the beginning of a process of knowing. To actually live these truths may require a lifetime of dedication and practice, whereby these teachings are woven through inner and outer experience into bodily knowing, wisdom. Our deeds then quite naturally arise from these embodied truths. As a teacher in the Rudolf Steiner schooling tradition, I organized the lessons for my class always bearing in mind the oft quoted Steiner education maxim “from the hands through the heart to the head”. This served as a reminder to me that for deep learning to occur, the children firstly need to experience with their bodies, (the hands aspect). Next the material needs to be internalized into their feeling lives and be met with creativity (the heart aspect). Only when absorbed and digested in this manner can healthy full concepts rise to the head as knowing. Sarita’s webinar reminded me of this integrating direction to follow when seeking to gain knowledge. The meditations offered by the Vigyan Bhairav Tantra are invitations to experience with our bodies, to do. Regular practise then deepens this doing to a heart felt relationship with the meditations we are drawn to. Then by engaging with the community of meditators that gather through the webinar series and Sarita’s question and answer sessions, we can raise our doing and feeling connection into deeper understanding. Hence the energy of our experience penetrates our spirit and wisdom is born! Additionally something quite unique is available for us in this webinar series. In having a guide such as Sarita we benefit from the subtle and potent transmission of a master who is committed to this path of learning, having lived and digested it over the last 37 years, many of them spent at Osho’s side. We receive the fruits of her long practice. I encourage all of you to taste this fruit. Whether we are single or in a couple, able or not to accompany her on the retreats in Croydon Hall, India and elsewhere, we can dedicate time for our own practice and participate from our own homes in this precious work of awakening. 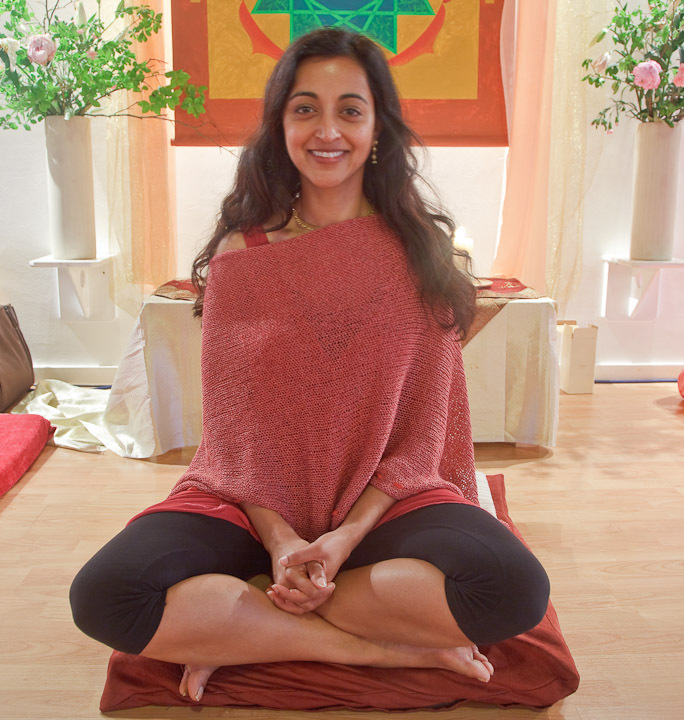 Roxana teaches levels 1-3 of Sarita’s Soulmate Training for couples, and also her own Tantra groups in London, and also with her husband Kiran. Picture of Roxana copyright Amano Samarpan.